CONGRESS leader Radhakrishna Vikhe Patil on Friday stayed away from Prime Minister Narendra Modi’s poll rally in Ahmednagar, where his son Sujay is the BJP’s Lok Sabha candidate. Speculation was rife that Radhakrishna Vikhe Patil, the Leader of Opposition in Maharashtra Assembly, would follow his son into the BJP and share stage with Modi at the rally in Ahmednagar, around 325 km from here. The senior Vikhe Patil was unavailable for comment, but his close aides rejected suggestions about the Congress leader switching sides and joining the BJP. 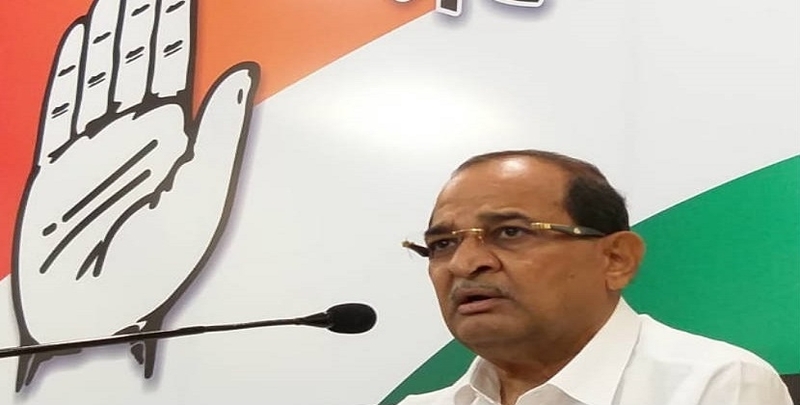 They also maintained Radhakrishna Vikhe Patil had no role in organising the rally in the western Maharashtra city that will vote on April 23 and asserted Sujay Vikhe Patil is capable of handling his election-related issues. “Sujay may be contesting elections for the first time. But, he is not new to politics. For the last 7-8 years, he was managing his father’s Assembly constituency Shirdi,” said a close aide of Radhakrishna Vikhe Patil. “Sujay’s contribution in making the Congress the single largest party in the Ahmednagar Zilla Parishad cannot be overlooked. He doesn’t require his father to manage his Lok Sabha elections. It is not true that Vikhe Patil was instrumental in organising Modi’s rally today,” he said. The aide said Sujay Vikhe Patil kept away from Ahmednagar city politics and did not work for the party during the Municipal Corporation elections due to differences with the local Congress unit President. Radhakrishna Vikhe Patil has already said he would not campaign for the NCP nominee in Ahmednagar.